Please Note: Instructions are at the bottom of this post. You need to have MC 24 (or higher) installed and running (either MC or Media Server). Then you connect to it from a browser on port 52199. Panel works with a computer, a phone, or a tablet. It uses HTML5 to do some cool stuff. The web page in the screenshot is generated by MC and it brings together many of the client apps that we've built. It builds on work we've done over the years, and on a lot of recent work by most members of the team. It looks simple, but it isn't. 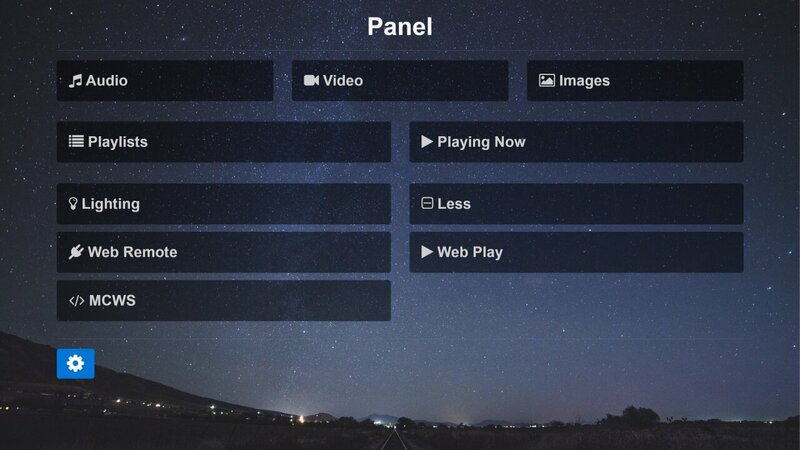 Panel is a suite of apps in one location, a smart web app that's easy to use. It provides direct access to apps that you may have used or heard about: WebGizmo, WebPlay, WebRemote, Engen, and MC. It's friendly. Point and click (or touch). Something happens. The settings icon provides remote access to the JRiver Id settings now and will give you access to some of MC's settings in the future. The + icon leads to more apps. 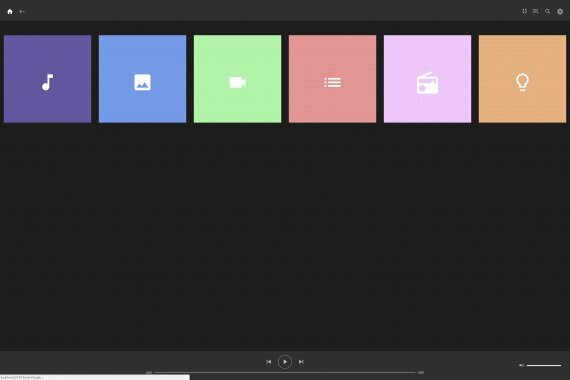 Panel will be expanded to include other apps. It will always be the easy to find launch point. Make sure Media Center or Media Server is running. Media Network must be turned on in MC settings. http://localhost:52199 or https://localhost:52200 will do the same thing when the browser is running on the same machine as MC. Your firewall must accept inbound connections on the port you use. Please see our wiki topic called Network Access for more information. If you have set "Authentication" on your server (under Media Network settings), you will be asked for a login and password. The login is visible in MC's Media Network settings. If you are connecting from the same LAN, choose "Inside" below the Access Key. MC23 Thread on Interact where you can read more or ask a question.